Hmm… Let’s assume you are one of the lucky people who don’t have strong body odour, and if the above are all true, you choose to wear this perfume to… what? smell like you have just peed on your own pants? You know, accidents happen. Or do they? Or, maybe you want to smell like a farm hand after spending the morning feeding horses and stepping into soft things. Hey, you could become extra charismatic if you wear this perfume while wearing a suit, for you will become paradoxical, a city man with a country flair. I definitely love this perfume, but I doubt I would want a bottle at the beginning of my fragrance journey. In fact, when I told people a year ago that I had never smelled it they said they were completely surprised – you own hundreds bottles of perfume and write crazy reviews and you have never smelled it? Whoah. If you look at the note breakdown of Absolue Pour le Soir, it’s rather simple and unsuspicious (rose, honey, incense, benzoin, ylang-ylang, cumin, Atlas cedar and sandalwood,) but the end result is absolutely animalic, warm and primordial. It unearths the emotion buried deep inside your brain by your caveman ancestors. It’s a shame that Mr. Kurkdjian decides to discontinue this gem. My friend Fifty-fifty told me that the beef patties from McDonald’s were not all made out of beef, but they called it 100% beef because they bought their meat from a company called “100% Beef”. It’s an urban legend, according to McDonalds. This piece of information or myth didn’t bother at all; I go there for fast food and the fries are quite good. A Facebook friend also said that 99% of all the “oud” perfumes out there did not contain real oud but a synthetic chemical made by aroma chemical giants such as Firmenich. This didn’t bother me neither; I wear “oud” perfumes to make me feel dandy or special. That being said, I could tell all the oud perfumes in my collection have the same kind of synthetic oud in them. Except Maison Francis Kurkdjian’s Oud. 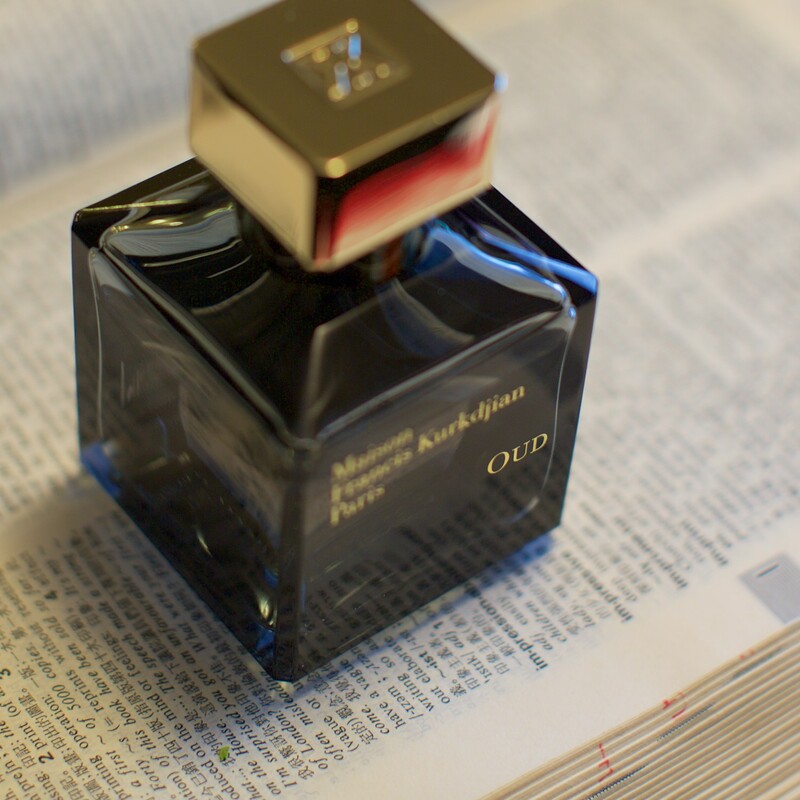 Because if all the oud perfumes smell like oud, then MFK’s Oud doesn’t. I don’t even care if it has no oud in it, because the perfume doesn’t smell like anything I have smelled before and I quite enjoy it. I call MFK’s Oud chemical X. It smells like some mysterious chemical solution you found in an immaculate, sparkling clean clinic… you twist open the bottle cap and carefully take a sniff… and find the scent smelling unnatural, yet non-pungent and strangely unharmful. You keep on smelling it with a frown until you succumb to the scent with half a smile on your face. Can’t exactly tell what it is; may be the smell of a cotton ball soaked with anesthesia solution that stuffed beside my gum when I had my wisdom tooth pulled? Maybe it’s love? Maybe it’s oud?